Our chauffeur-driven Mercedes Viano Luxury People Mover is perfect for Sydney airport transfer and also for all special occasions, such as weddings and corporate VIP events where you need to get up to seven people from A to B. The Mercedes Viano isn’t just luxurious: it also offers the comfort and space that we’ve all come to associate with the German brand. With large rear seats and a spacious boot for luggage, the Mercedes Viano is ideal for a Sydney airport transfer, escorting you to and from greater Sydney comfortably with more than enough room for your luggage. No matter what time of day or night, booking a Mercedes Viano for your Sydney Airport Transfer guarantees a smooth beginning or end to your journey and final destination. The roomy Mercedes Viano is maintained to the highest standards, allowing us to confidently offer corporate and business transportation, as well as offering a luxurious, yet simple solution for those with a special occasion. The Viano’s 7 seats allow for transport of up to 7 with a chauffeur at the helm to take you where you need to go, on time. The Mercedes Viano is the byword for first-class chauffeur-driven luxury people mover, able to carry up to 7 passengers in luxury, style and safety. Despite its masculine, sporty exterior, the interior is renowned for its generosity of space. Thanks to the leather trim, even the longest journey is done in comfort. The Viano’s air suspension, ergonomic seats and climate control systems ensure that no matter what the weather—you’re comfortable. 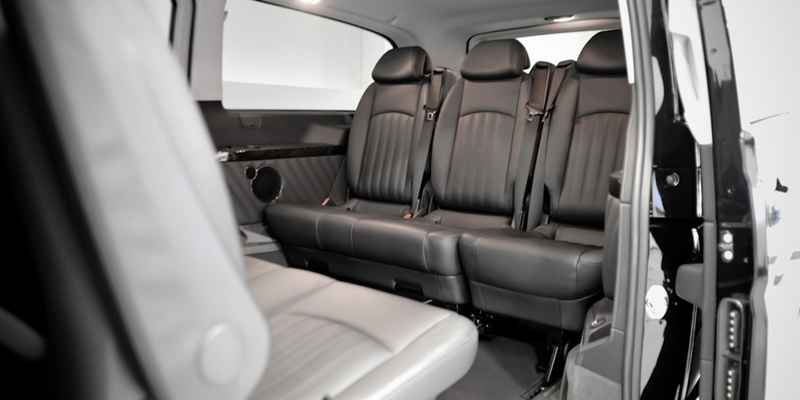 Our fleet of Mercedes Viano luxury people mover cars are all well-equipped with lots of little extras that are designed to make your journey as comfortable and relaxing as possible—and that’s just starting with the chauffeur! Looking for flexibility with a dash of refinement? 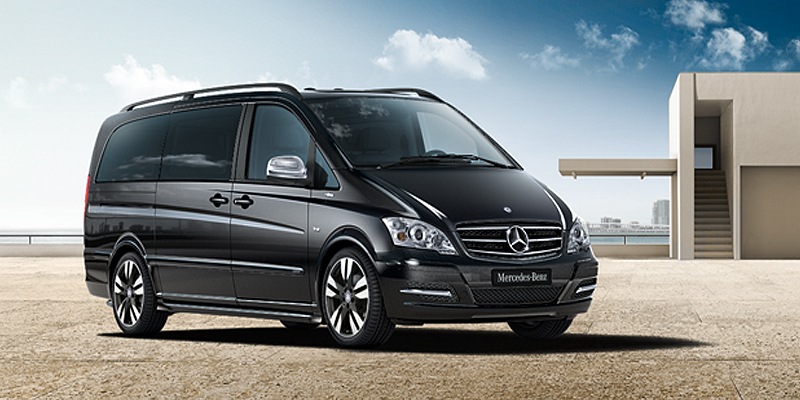 The Mecedes Viano has it all, offering you a superb all-round superstar when it comes to booking a luxury people mover vehicle for your Sydney Airport transfer or special occasion. 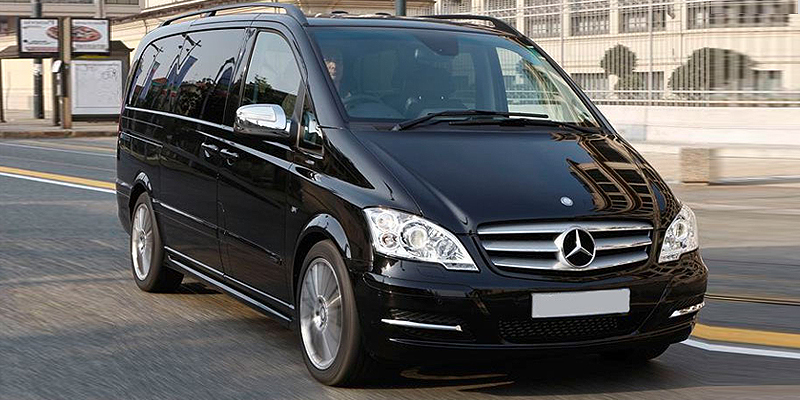 Book your luxury chauffeur driven Mercedes Viano people mover today, whether you’re looking for a luxury Sydney Airport Transfer, vehicles for your special event or corporate help, our friendly team is here to help. Call us on 1300-589-227 today or click below for an instant quote.